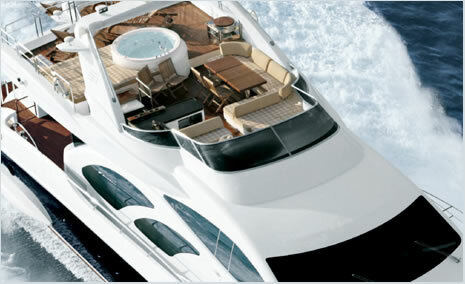 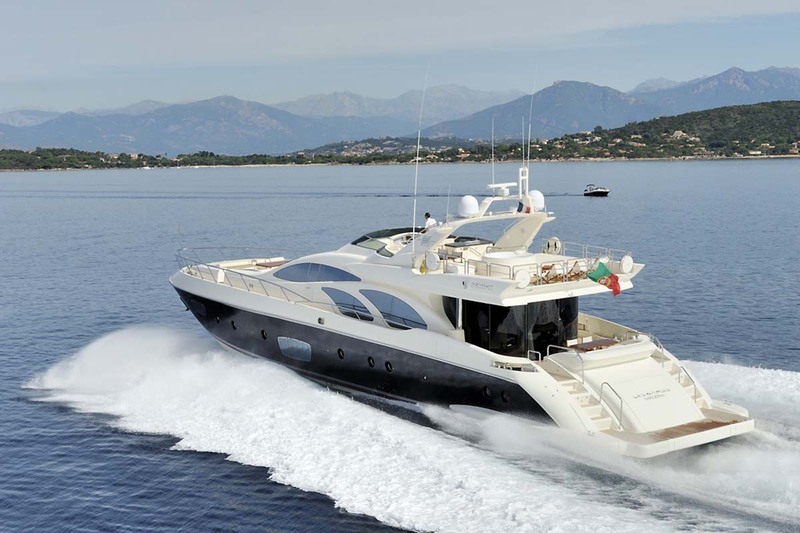 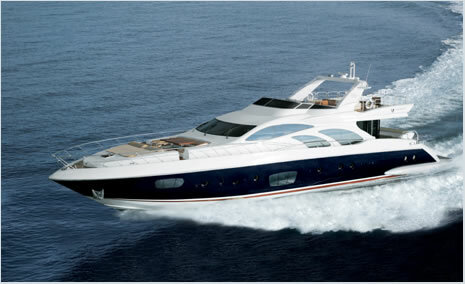 Yacht CRYSTAL is an Azimut 98 Leonardo, perfectly equipped for luxury yacht charter vacations in the Mediterranean. 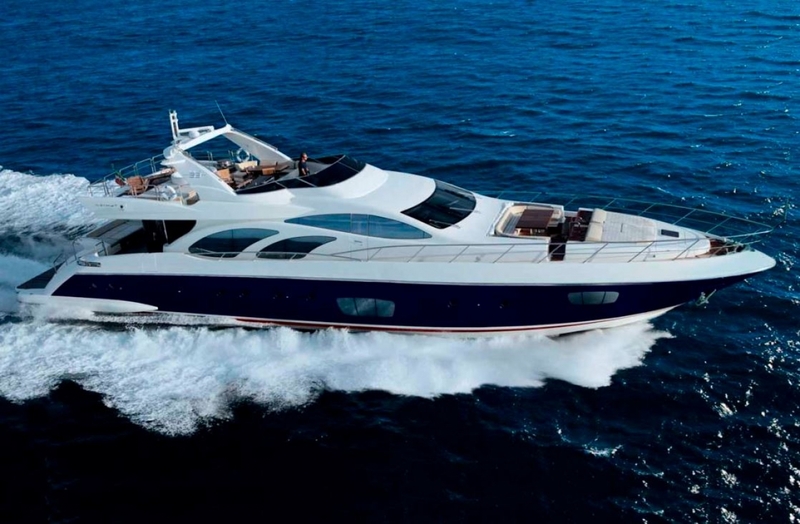 This Azimut 98 is 30.75m (100' 10") in length giving plenty of space both inside and out with excellent flow between the two. 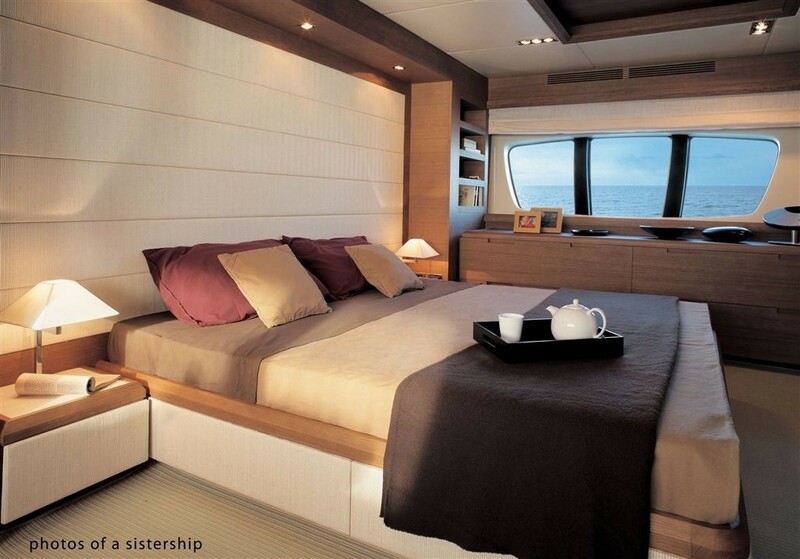 CRYSTAL’S modern and bright interior design will make you feel at ease from the moment you step aboard. Crystal is equipped with flat screen TVs in all of her cabins, with a fly bridge complete with a Spa Pool, a bar and a sitting area, CRYSTAL will endow you with all the modern features a vessel can offer. 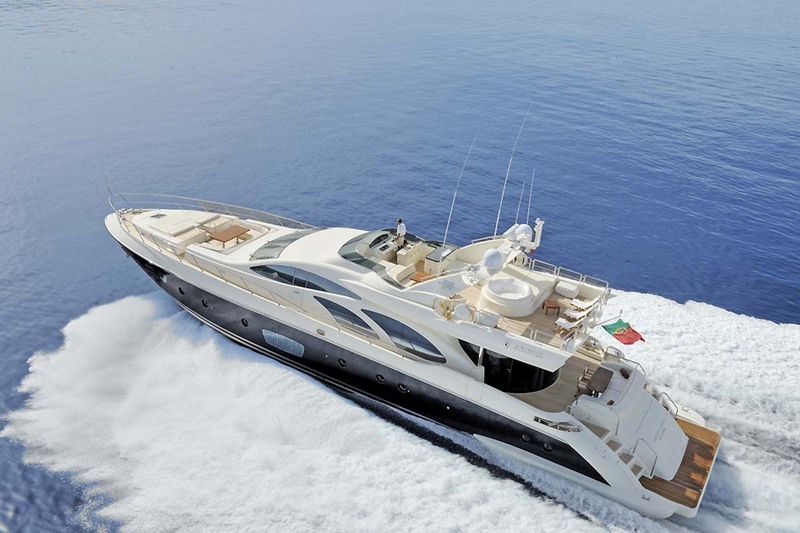 Thanks to the design wizardry of Stefano Righini the Azimut 98 Leonardo luxury motor yacht blurs the line between inside and out. 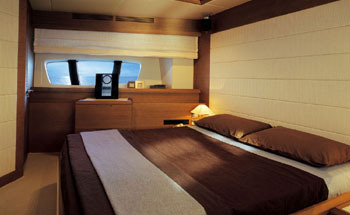 This is due largely to a large semicircular sliding glass door which is the entire aft saloon bulkhead. 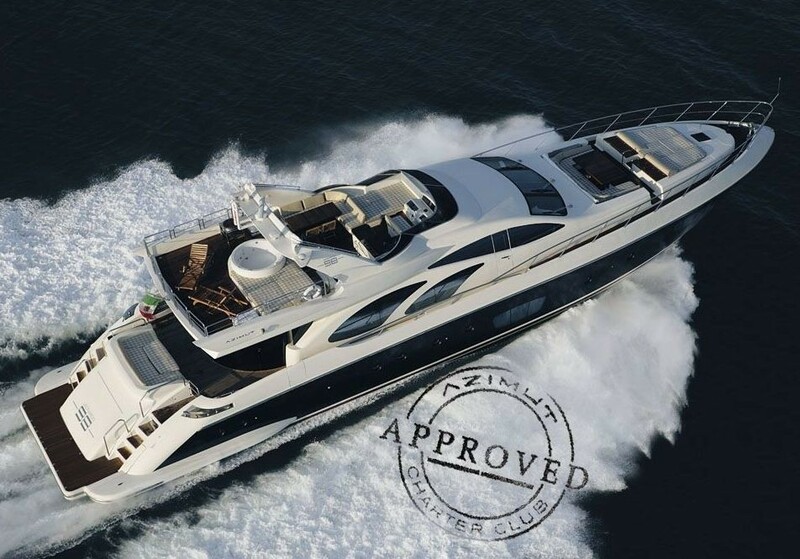 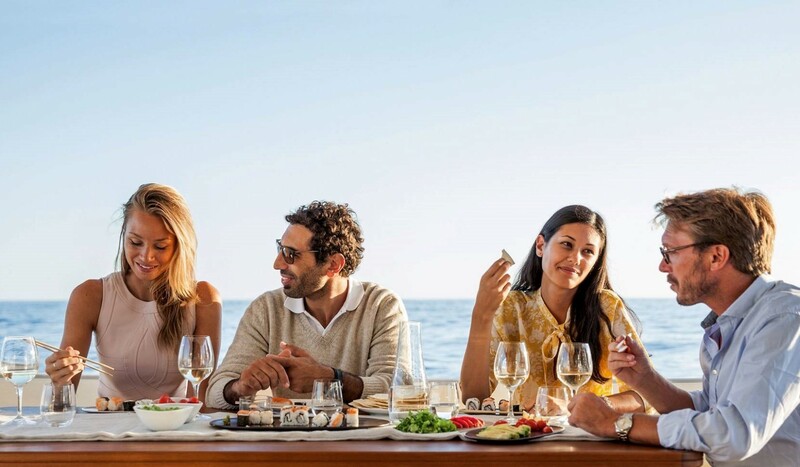 The door opens at the touch of a button and transforms the Azimut’s enclosed aft dining area into an alfresco dining area and seamlessly blends the saloon and aft deck into one uninterrupted leisure space. 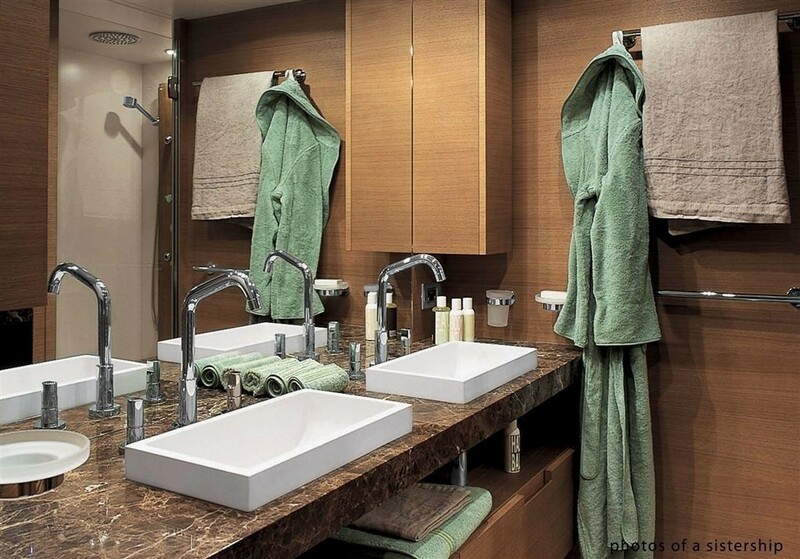 The feeling is enhanced by the fact that the entire space of nearly 1,300 square feet is all on one level and completely absent of interrupting bulkheads. 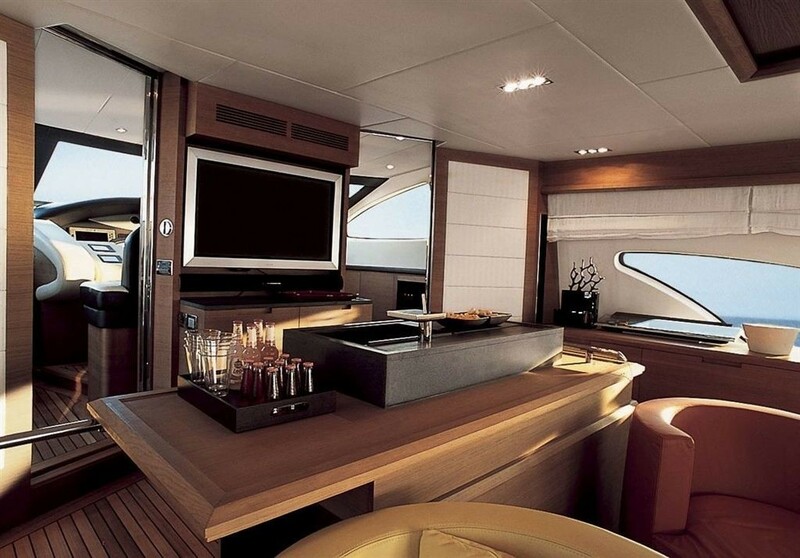 Because her saloon is so wide and open M/Y CRYSTAL’S large retractable flat-screen television, in the entertainment center, is viewable from most areas on this level - from her 4 person port-side couch to her eight-person couch over to starboard. 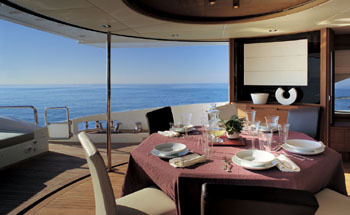 You could even watch the screen from the dining table; although the 180-degree panorama of your charter location would no-doubt interrupt your attention. 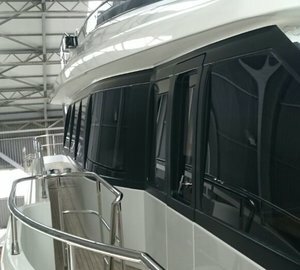 The Azimut 98’s bar is aft and to port in the saloon, where it can serve guests in both spaces and enhance the inside/outside flow. 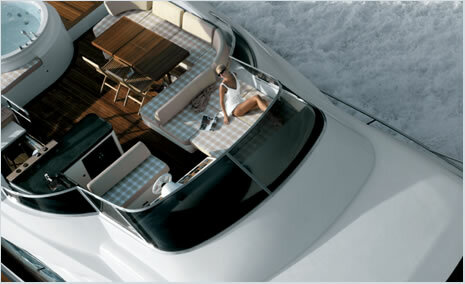 Even the teak cockpit sole which overlaps well into the saloon contributes to the blurring of boundaries as it meets the carpet. 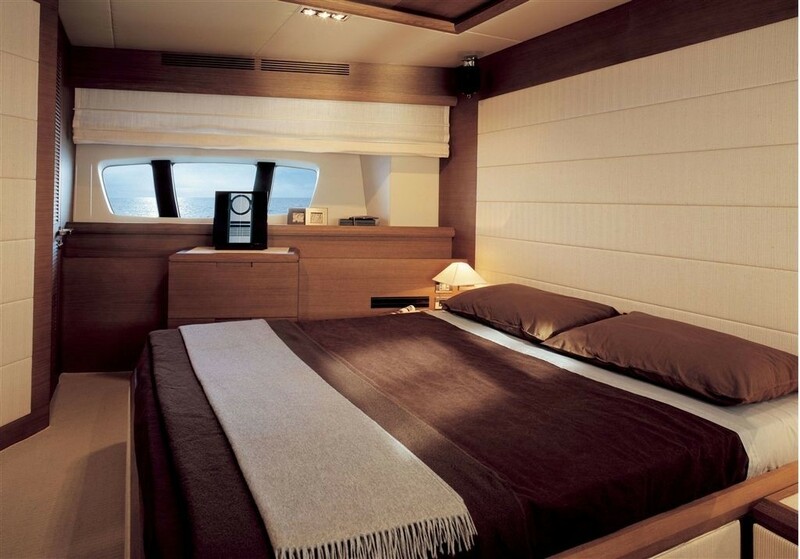 M/Y CRYSTAL provides up t o10 yacht charter guests with accommodation in 4 cabins with the following layout: She has a full beam Master Cabin with Queen Bed and 1 VIP cabin located forward with Queen bed. 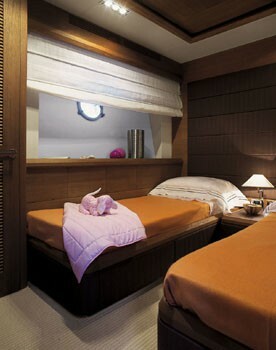 There are a further 2 Double Berthed twin cabins with pullman bunks. 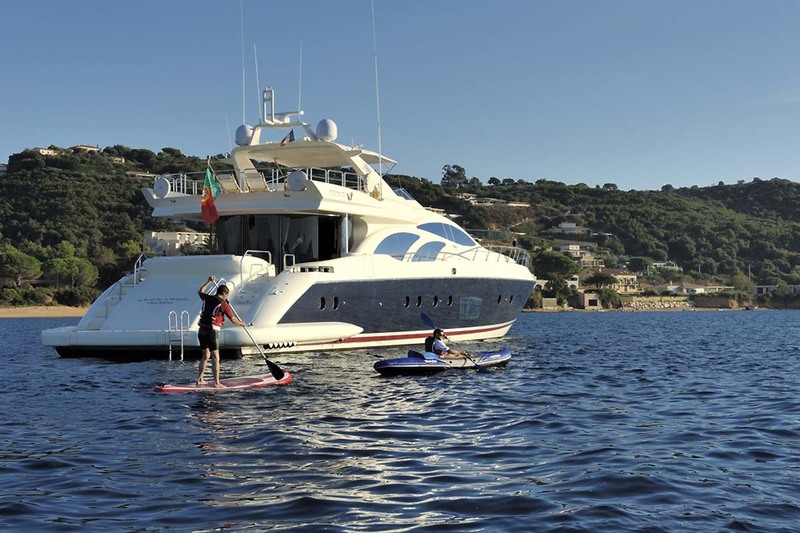 The Mediterranean Azimut 98 CRYSTAL offers the following yacht charter water toys and amenities: A jet Tender, two wave runners, Snorkelling equipment, and Water skis. 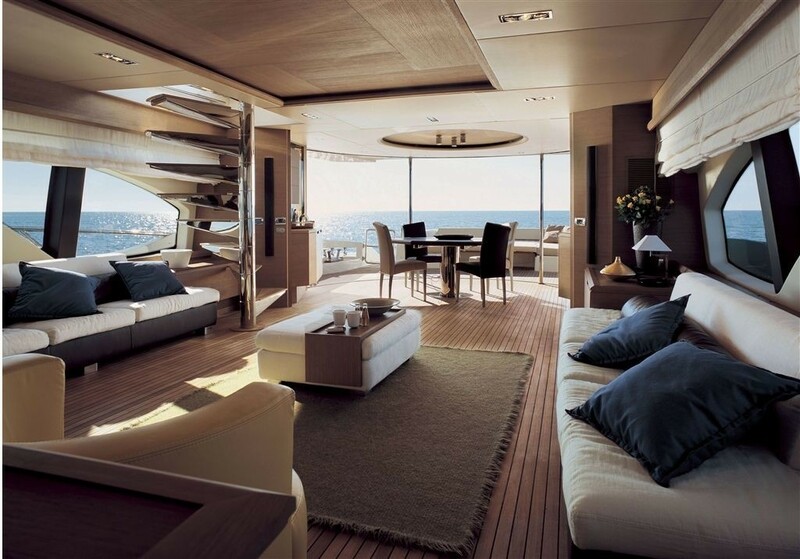 Inside the yacht offers a CD library, a TV, CD, DVD player, air-conditioning, a Fax, a GPS, the Internet, a Plotter, a phone and cell phone, VHF, and a generator. 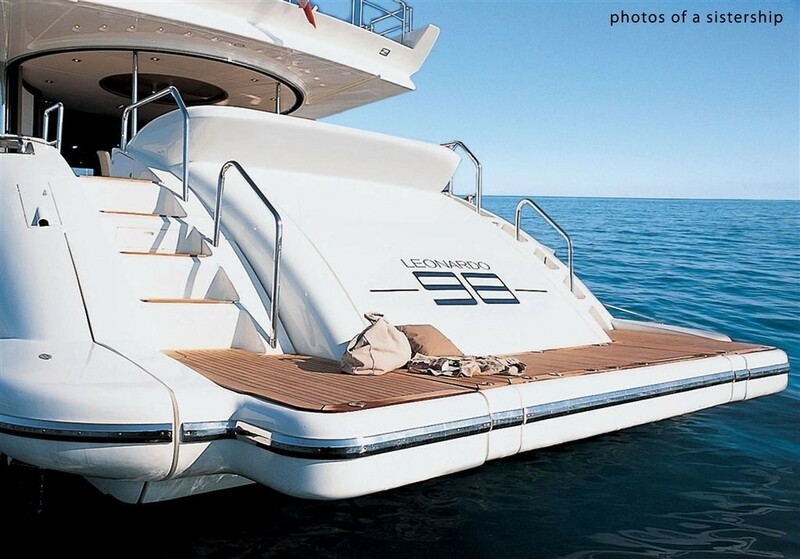 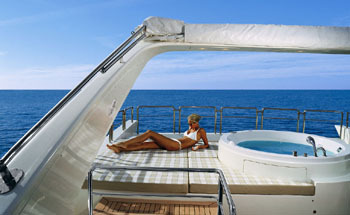 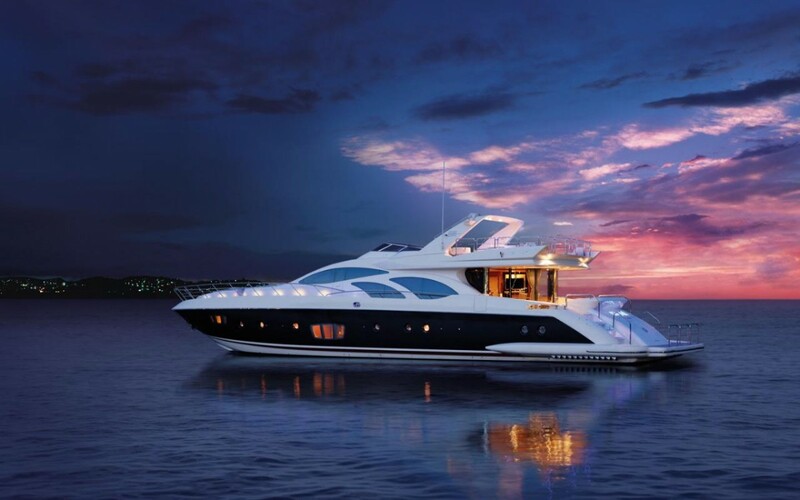 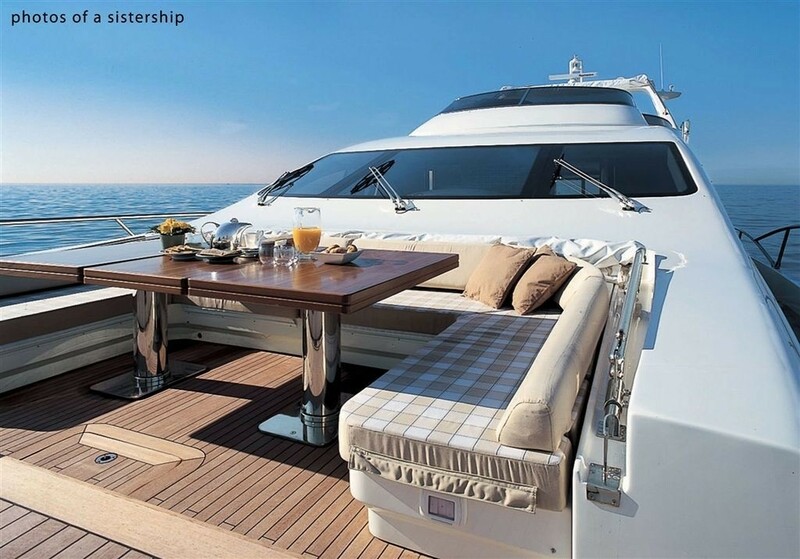 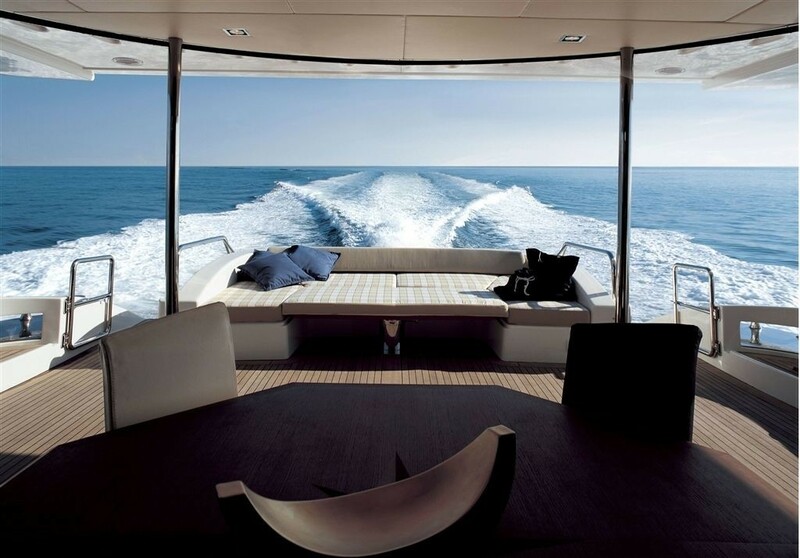 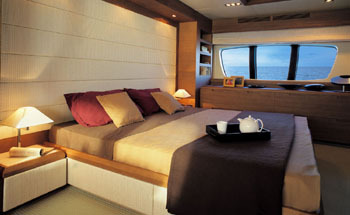 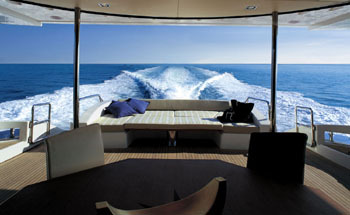 The yachts exterior has Cockpit cushions and speakers, a Fresh water deck shower, an Icemaker ,an on deck Refrigerator, a swim ladder and platform.